Private Edward Wildman, number 3714356, served with the 2nd Battalion of the King's Own Royal Regiment in the Second World War. 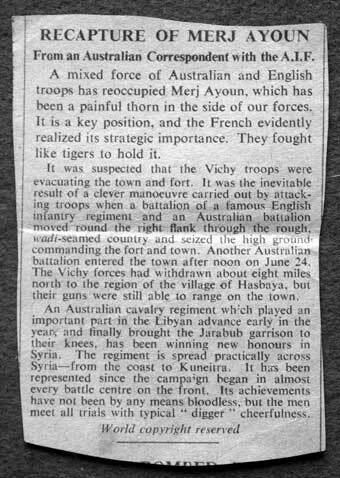 He served with the battalion in Syria and was wounded and spent time in Palestine and Egypt. 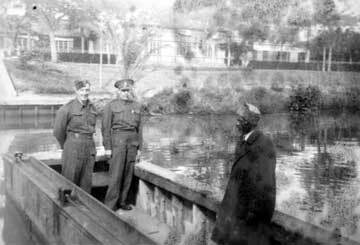 He later served with the Provost Staff of the Corps of Military Police on attachment from the King's Own. Private Edward Wildman, number 3714356, 2nd Battalion, King’s Own Royal Regiment, circa 1940, wearing Battle dress blouse and side cap. 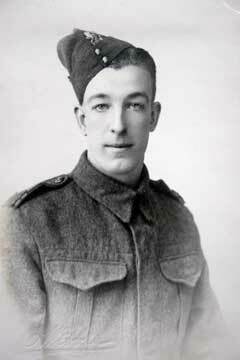 Private Samuel Barritt, number 3713957, 2nd Battalion, King’s Own Royal Regiment, was killed in action on 23 Jun 1941 in Syria. His home address is shown as 1a Nelson Street, Lancaster, he was born in Burnley. His parents are shown as living at 1a Lancaster Street, Morecambe, and it is stated he was a native of Colne. 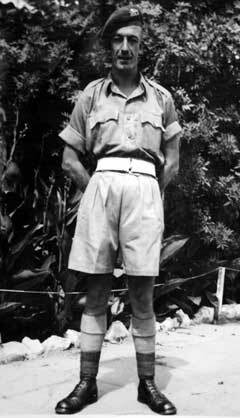 Private Edward Wildman, King’s Own Royal Regiment, wearing shorts and shirt and beret, so later years of Second World War. 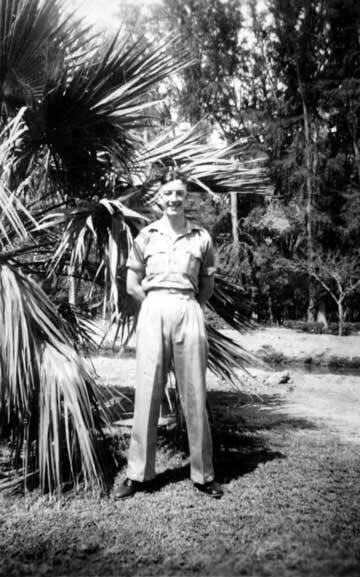 Private Edward Wildman, King’s Own Royal Regiment, at Nathanya Convalescent Depot, Palestine, 5 Nov 1941. 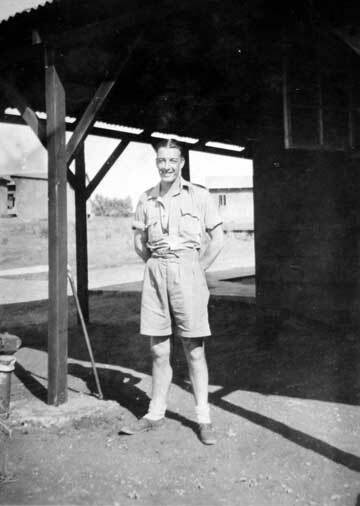 Private Edward Wildman, King’s Own Royal Regiment, circa 1941. 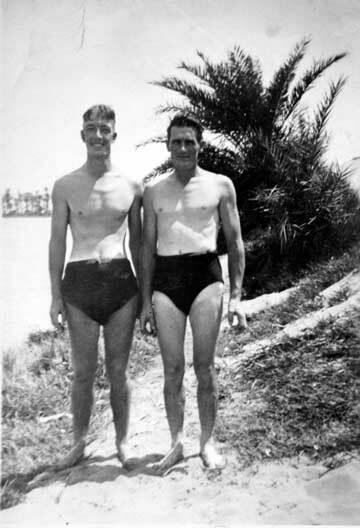 Private Edward Wildman, King’s Own Royal Regiment, (left) and another soldier, in swimming trunks, circa 1941. 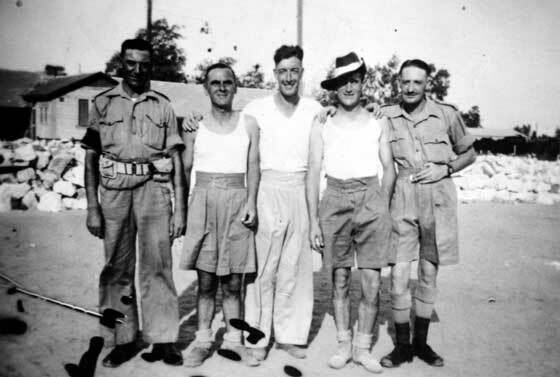 Group of five soldiers, with Private Edward Wildman, King’s Own Royal Regiment, in the centre, circa 1941. 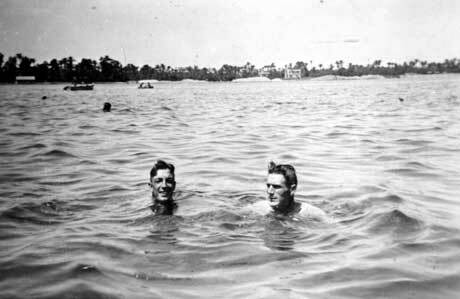 Two soldiers swimming, Private Edward Wildman, King’s Own Royal Regiment, on the left, circa 1941. 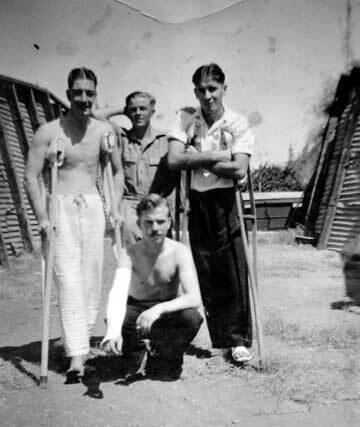 Group of soldiers at Number 3 Convalescent Depot, Palestine, circa 1941. 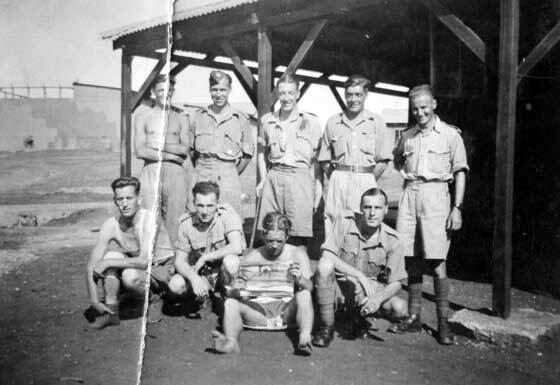 Private Edward Wildman, King’s Own Royal Regiment, in the centre of the rear row. 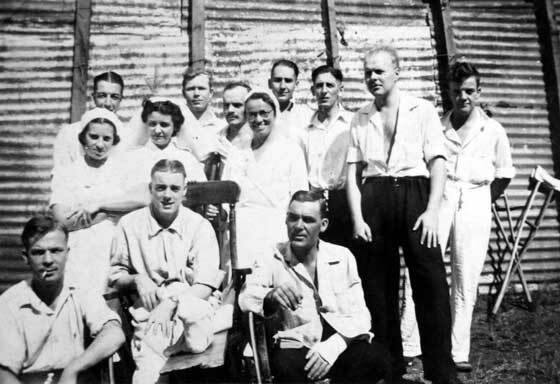 Group of wounded soldiers and nurses with Private Edward Wildman, King’s Own Royal Regiment. 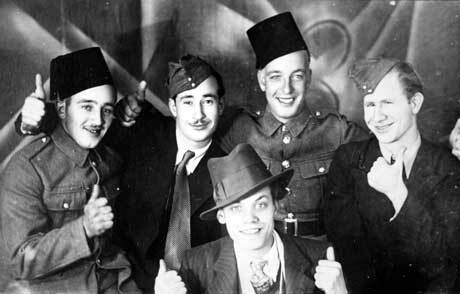 At 12th General Hospital, Sarafand, Palestine, circa 1941. 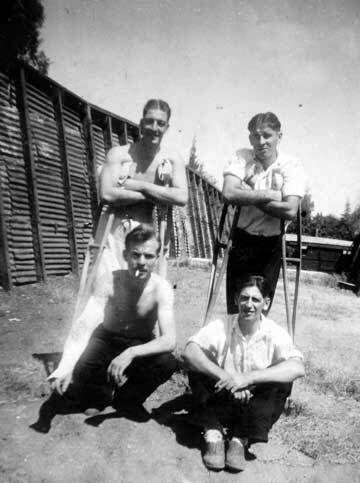 Group of four wounded soldiers, with Private Edward Wildman, King’s Own Royal Regiment. 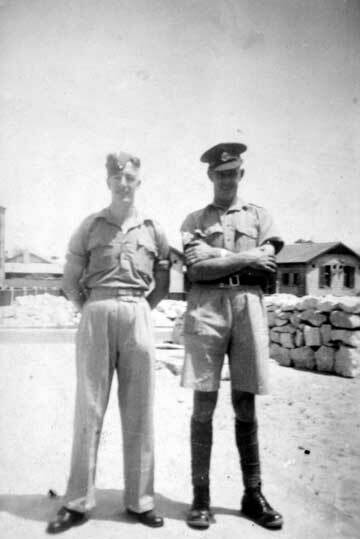 At 12th General Hospital, Sarafand, Palestine, circa 1941. Two soldiers, including Private Edward Wildman, King’s Own Royal Regiment on the left, crossing some water, Egypt or Palestine, circa 1941 in a ferry. 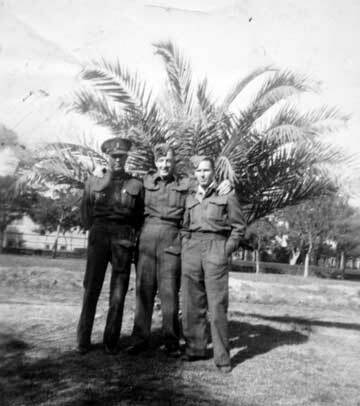 Three soldiers, including Private Edward Wildman, King’s Own Royal Regiment in the centre, circa 1941/2. 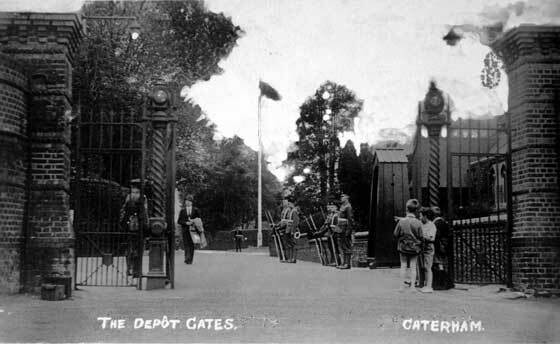 The Guards Depot was at Caterham, Surrey. 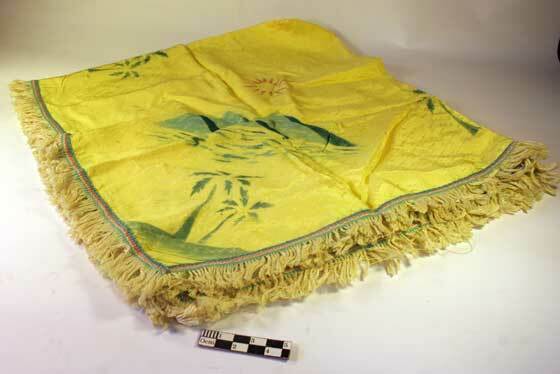 Embroidered Cloth. 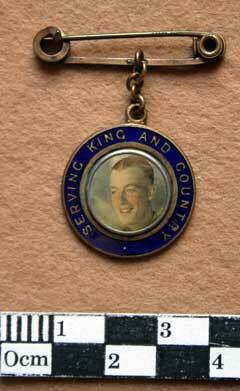 Bought as souvenir by Private Edward Wildman, King’s Own Royal Regiment, in Egypt, 1942. Embroidered Table Cloth. 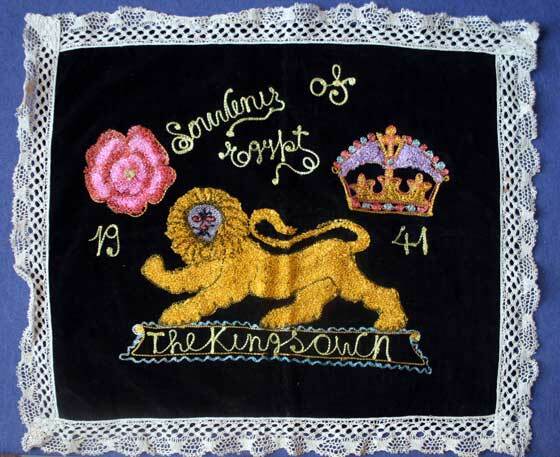 Bought as souvenir by Private Edward Wildman, King’s Own Royal Regiment, in Egypt, 1941. 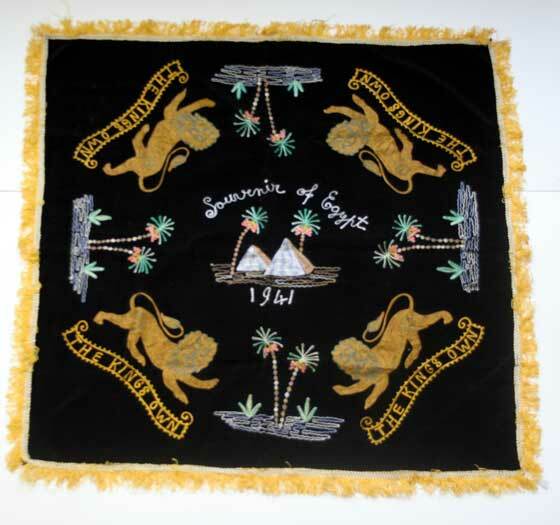 ‘Souvenir of Egypt 1941’ with four regimental Lions and ‘The King’s Own’ in each corner, Pyramids in centre and four oasis designs including palm trees. 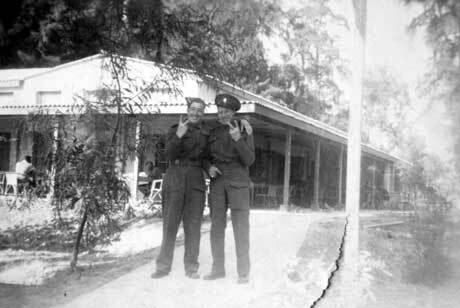 1939-45 Star to Private Edward Wildman, number 3714356, 2nd Battalion, King’s Own Royal Regiment. 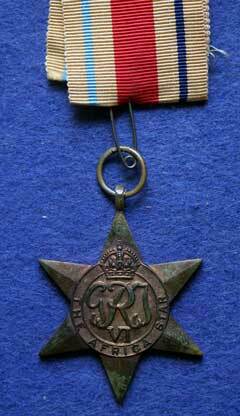 Africa Star to Private Edward Wildman, number 3714356, 2nd Battalion, King’s Own Royal Regiment. 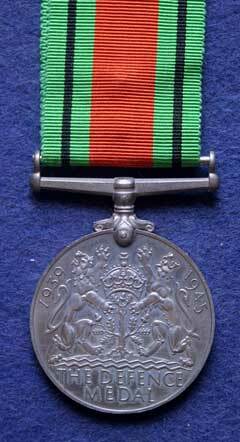 Defence Medal to Private Edward Wildman, number 3714356, 2nd Battalion, King’s Own Royal Regiment. 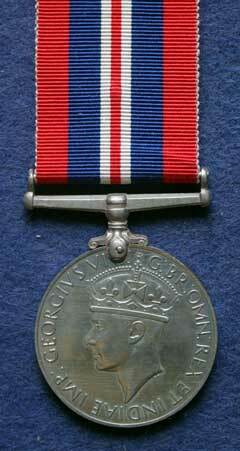 War Medal to Private Edward Wildman, number 3714356, 2nd Battalion, King’s Own Royal Regiment. 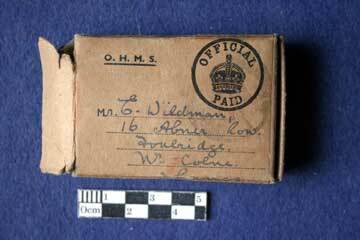 Box of issue for Second World War Medals issued to Mr E Wildman, 16 Almer Row, Foulridge, Near Colne, Lancashire. 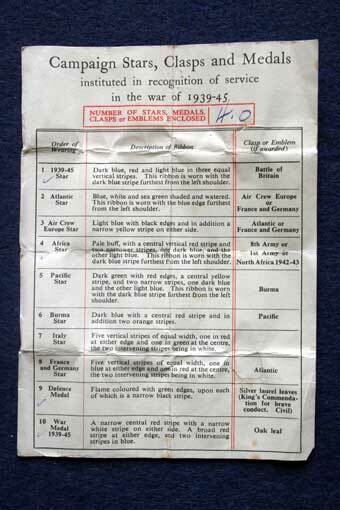 Second World War medal slip, with 1939-45 Star, Africa Star, Defence and War Medals marked. Ladies ‘sweetheart’ badge with “Serving King and Country” in brass and blue enamel around a central coloured photograph of Private Edward Wildman. 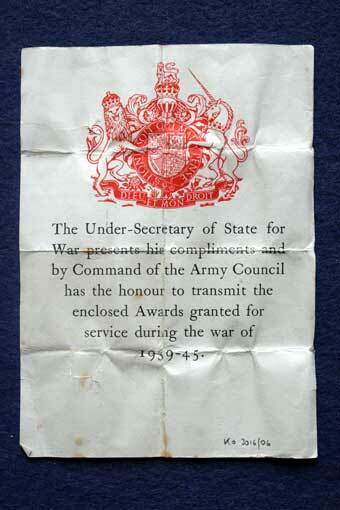 Printed red and white ‘King’s Own’ shoulder title, Second World War period. 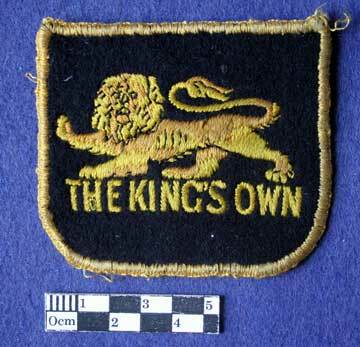 Blazer Badge, King’s Own Royal Regiment. Embroidered and printed table centre piece. Yellow with printed images of pyramids etc. 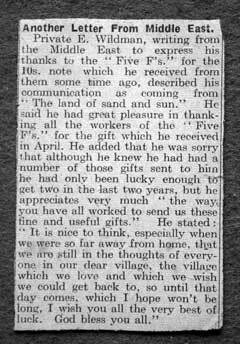 “Another letter from Middle East.